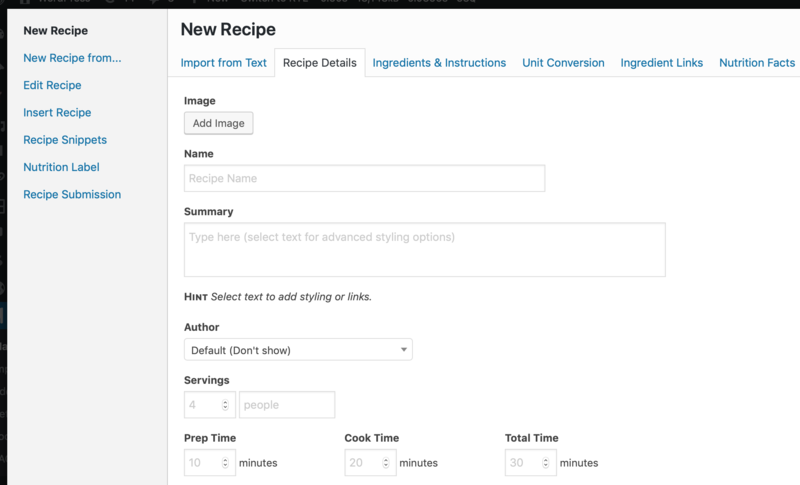 Make sure to check the An overview of WP Recipe Maker documentation first. Click on the "WP Recipe Maker" button above the post content or the cutlery icon. 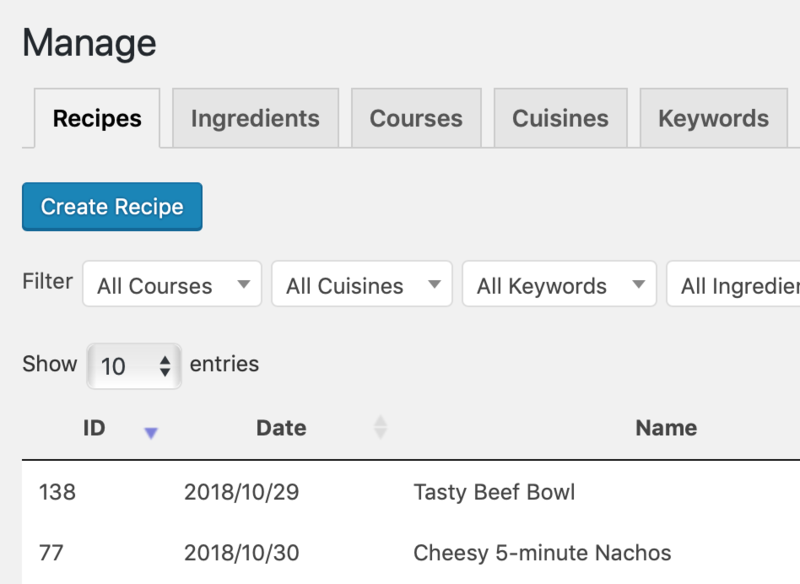 The new recipe form will show up for you to fill in. An existing recipe can also be added by clicking on "Insert Recipe" in the left sidebar. 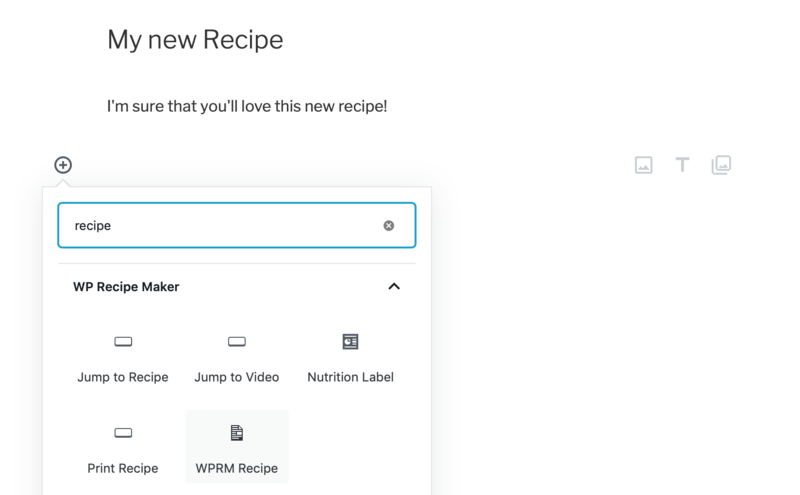 There is a blue "Create Recipe" button on the WP Recipe Maker > Manage page you can use to create a recipe without immediately adding it to an existing post. To insert the "Tasty Beef Bowl" recipe in the screenshot above you'd use [wprm-recipe id=138], for example.